The Bozeman showroom is a collection of sophisticated rustic, old world, hand painted and one of a kind. The Livingston showroom specializes in “Montana Rustic” with collections of leather, burled pine, birchbark, and natural reclaimed woods. Rocky Mountain Design-Interiors offers full interior design services, including custom window treatments, furniture placement, and assistance with purchasing furniture and accessories. Here at RMDI, we will listen to your needs and help you create your own personal style, whether it’s a small project or a complete re-design of your home’s interior. Come visit a showroom today! RMDI is proud to offer some of the most unique, hand-selected furnishings, and a level of comfort to align with your lifestyle. Furniture that suits your needs as they change and grow. Whether you’re starting from the ground up or just want to explore something new; Carina and John bring a diversity of perspective, experience and originality to each relationship and home. Rocky Mountain Design-Interiors, owned by John and Carina Russell, ASID; is a complete interior design firm offering design services for Montana and surrounding mountain areas. Carina Russell is a professional member of the American Society of Interior Designers. Services include specifications to cater to the client’s needs, from rustic to contemporary styles. Rocky Mountain Design-Interiors is accomplished in both residential and commercial projects in Montana, Idaho and Wyoming. They are a complete resource for furniture, fabrics, area rugs, fine leathers, artwork, window coverings, lighting, accessories and more. Their 2 showrooms located in Bozeman and Livingston Montana are open to the public and represent a fine sampling of their resources. Rocky Mountain Design-Interiors has been in business successfully since 1978, under the ownership of John and Carina Russell. 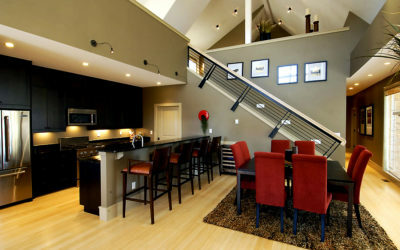 Interior design projects have included mountain lodges in Montana to contemporary homes in Florida. Along with great design consulting Rocky Mountain Design-Interiors is also a fabulous Livingston and Bozeman furniture store. Here at Rocky Mountain Design-Interiors, we set a standard of excellence in providing top level customer services to our clientele. Let us help you choose and install the most fitting window treatments and window coverings that give you an exceptional look, feel and functionality! With resources of over 200 companies, any style or specific needs can be met. Resources include furniture made of: sustainable woods, reclaimed antique wood, hand-forged iron, rustic copper detail, aniline died leathers and local Montana crafted pieces. Rocky Mountain Design Interiors, owned by Carina Russell, professional ASID member of 20 years. Here she has written several articles that take you on a deeper dive into the challenges and excitement of interior design and quality home furnishing curation. We hope you’ll enjoy reading and learning from these interesting articles and maybe even get some new inspiration for your own living spaces. Carina is available for consulting and sourcing some of the finest home decor treasures from around the world – You can give her a call today!